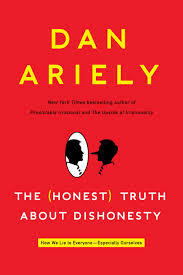 I have recently been reading an interesting book by Dan Ariely entitled The Honest Truth About Dishonesty. The book is not about weight loss per se. It’s an investigation into the complex human mechanisms that lead to dishonesty. It turns out we are all dishonest to some degree or another. The part of the book that got my attention and that I believe has the most practical applications to weight loss dealt with the relationship between fatigue and our internal moral conflicts. Susie Snacker has gained quite a bit of weight over the years, almost certainly due to her snacking behaviors. She will pop a handful of potato chips here and grap a couple chocolate chip cookies there. When there are donuts in the breakroom at work she always grabs one (or two) on her break. She finally makes up her mind to change her ways. The next morning her new life begins with a trip to the pantry. She wants to grab a cheese danish and get on her way but she fights the urge and pours a bowl of bran flakes even though it means she’ll be a few minutes late. Later in the morning she passes on the bowl of candies at the secretary’s desk and snacks on some carrots. For lunch, she decides on the baked chicken breast even though she really wants the fettucini. Each of these decisions uses up a certain amount of energy and weakens her muscle a bit more. By the time she gets home she’s exhausted and orders a pizza and eats the entire thing. Work those muscles. Just like biceps, working out the muscle will strengthen it. In other words, keep on hanging in there and know that, over time, your ability to resist will become easier and easier as your muscles get stronger. Knowing is half the battle. Be aware of the struggle in the moment that it is happening. Sometimes just being aware of your internal struggle transfers the decision from your lower brain to your higher brain allowing your thought processes to win the day and not your appetites. Minimize the strain. If you don’t encounter the struggle, the muscle will not be engaged. If you don’t buy the tempting food, you won’t be tempted. In the above example, if Susie didn’t have any cheese danishes in the house, she would have had one less decision to make allowing her more energy for the end of the day. So don’t buy it. Don’t have it in the house or your desk at work. You might even want to deviate your route to work to avoid driving or walking past your favorite restaurants. Anything that avoids the struggle saves more energy for the moments when you are unable to avoid the challenge. Plan, plan, and plan some more. If you have your meals planned out for the day, it makes it much easier to resist when forced to make a decision. This is essentially another way of avoiding the internal conflict that strains the muscle. In the example above, if Susie had planned out her meals, she would never have had the option of ordering the pizza. Since she was left to make the choice of pizza vs. something more healthy, she was forced to engage her tired muscle. If she would have planned the night before at a moment when the decision was not in front of her, she would have been able to avoid the problem altogether. Remember that the struggle is between the higher intellectual part of your brain and the lower impulsive part. The nature of the impulsive part is that it is too dumb to think ahead. Therefore, when the decisions are made in advance, the challenge does not register and the battle never begins. I hope this advice is helpful. Now go and throw away the cookies in your pantry.